With over 40 expertly crafted coffees and teas, the Gevalia Coffee Club has something for everyone. Experience the exquisite taste of the best of our Swedish heritage. These traditional coffee blends are crafted for a one-of-a-kind taste that that's sure to delight. Taste your way around the world with all of the exotic and unique varieties we have for you to explore. Treat your taste buds to a cup of something far beyond the conventional coffee flavors. Our Cafe Creation Collection features classic coffees, but it also offers exotic flavors you won’t find anywhere else. Our Master Taster travels the globe in search of the rarest, most flavorful beans, and then selects only the finest to bear Gevalia’s Special Reserve Collection label. 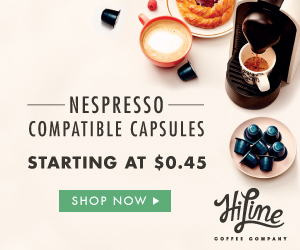 Available exclusively online, you won’t find these truly exceptional coffees anywhere else. Gevalia Traditional Teas are classic, black tea blends carefully crafted with distinction to retain their smooth taste and fine character. Inspired by the centuries-old tea custom of Europe, they are the perfect afternoon tea or accompaniment for breakfast. Gevalia Flavored Teas balance smooth, black teas, seductive spices, and luscious, natural flavors. Following the antique customs of Far East tea merchants, these delightful flavors are perfectly infused to enhance the delicate nuances of the tea. Gevalia Green Tea is hand-picked from the finest part of the tea bush - the top two leaves and a bud. The leaves are then carefully placed in woven twine carriers in order to preserve their green color and delicacy. After being weighed in the field, the leaves are taken immediately to the factory for drying. It is this attention to minute details that makes Gevalia Green Tea among the world's finest. Consisting of nature's gift of flavor, spiciness, color and pungency, Gevalia herbal teas contain no caffeine and are full of natural ingredients from nature's bounty. Herb teas come from the rich heritage of herbal brews and not from the Camellia Sinensis tea tree. Thick, crusty cinnamon bark, florid hibiscus flowers, and chamomile flowers picked from remote valleys are just three of the components of our herbal tea blends that have been used for centuries in creation of flavorful, natural brews.